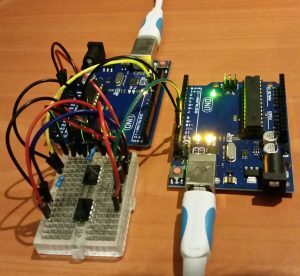 There are various ways for two Arduinos to communicate information. A common way is serially via RS232. However, RS232 has distance limitations. 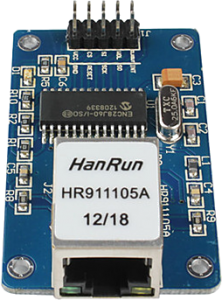 If there is a need to serially communication over a longer distance consider using RS485 instead. 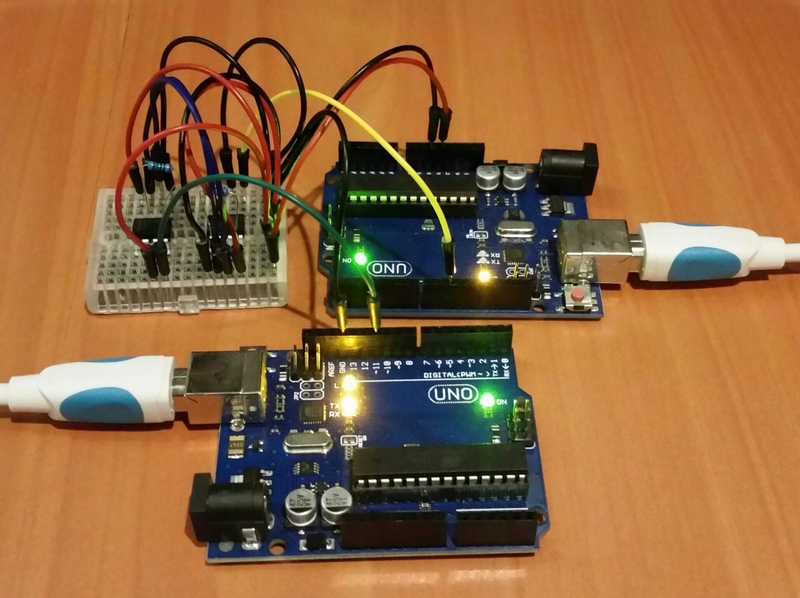 A couple of MAX485 ICs can facilitate RS485 Arduino communications over that longer distance. 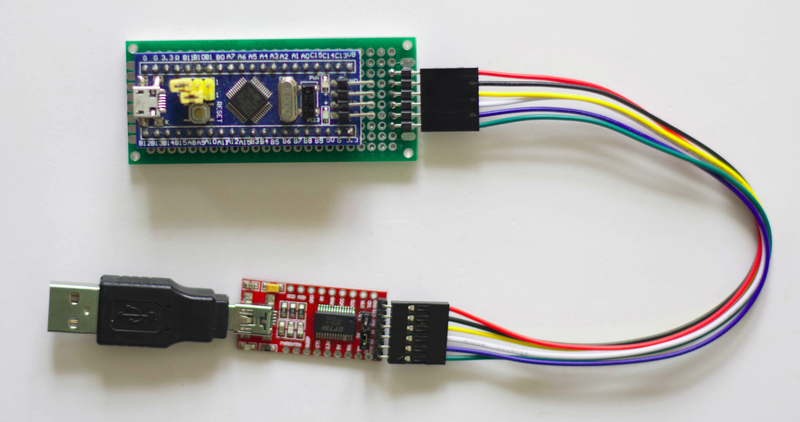 Two MAX485 ICs connected together will take RS232 signals and perform the voltage level conversions required to turn them into RS485 signals and back again to RS232 signals. 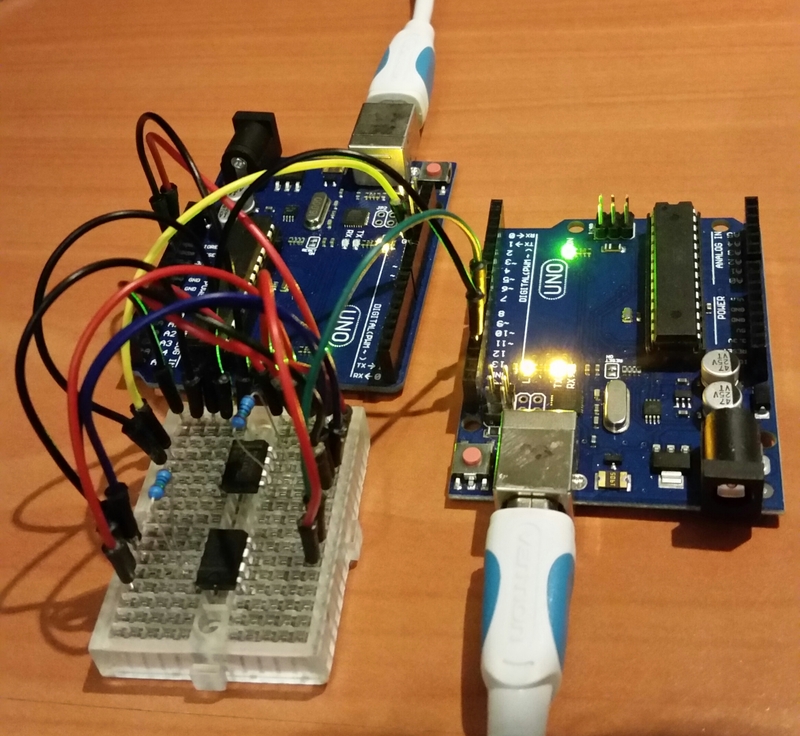 That will allow two Arduinos to communicate serially over a longer distance. Get the Fritzing source HERE. 5V is used in this simple demonstration. For longer distances a higher voltage will be needed to power the MAX485. Also the BAUD rate will need to be adjusted (the longer the distance, the slower the speed). Wouldn’t it be C 🙄 🙄 L to have a Linux prompt on the STM32F103C8T6. Not likely, however, Nuttx on the STM32F103C8T6 is about as close as you will get. Nuttx is a RTOS which runs on a wide range of microcontrollers including the STM32F103C8T6. To compile Nuttx for the STM32F103C8T6, a development environment needs set up with the right tools. My development OS of choice is a Linux distribution called Fedora (Fedora 29 is the current version at the time of this post). The first DNF command installs the ARM development tools needed to compile Nuttx for the ARM based STM32F103C8T6. The second command installs the GIT tool used to grab the source code. The third command installs other development tools necessary for the compile process. The reason for the aclocal and autoconf is to update the configuration files due to the newer versions of Fedoras’ development tools. That last command should have set up everything correctly for the compile. however, this next step allows verification of all settings and options. Optionally, verify the build setup and other options. Save and Exit when done. 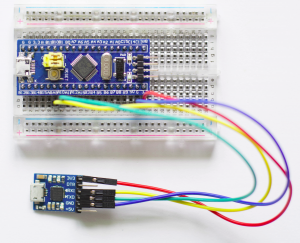 This last step compiles the code and creates the nuttx.bin binary file to load into the STM32F103C8T6. Once loaded with the nuttx binary, the STM32F103C8T6 is ready to send the nsh (NuttShell) prompt. Connect your PC to the USB/Serial converter port with any serial communications program (115200 baud) (like MINICOM ) and press the reset button. For more info on Nuttx and what can be done with it, check out the Nuttx.com site HERE. It is relatively easy to turn an STM32F103C8T6 (BluePill) into an STLink programmer. All that is needed is a copy of the STLink firmware and a means to flash it. Do a search for STLinkV2.J16.S4 and download it. Flash that binary file into the STM32F103C8T6. The new STM32F103C8T6 STLink can then be upgraded to the latest firmware version from https://www.st.com. Download the Fritzing Diagram from HERE. Actually, the capacitor and 4k7 resistors on the right side of the diagram are not needed (it works fine without them). 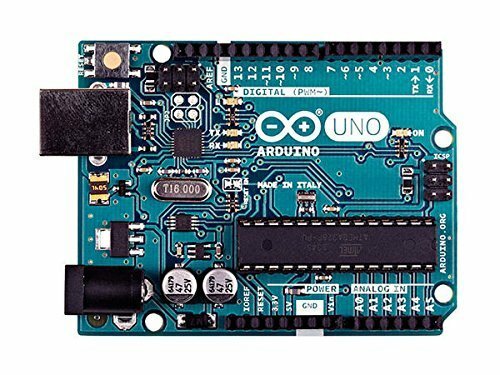 A while back, I wrote about the Arduino-Builder which is what the Arduino IDE invokes behind the scenes to compile the sketch. (That post is here.) Now, with the Arduino Command Line Interface, everything that can be done from the IDE can now be done on the command line. 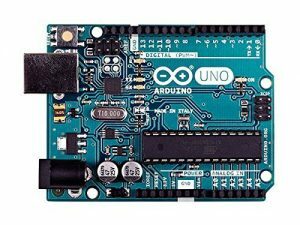 The Arduino Command Line Interface can be downloaded from here. By the way, it is also written in the Go language. I tried it out and got it working OK for the BluePill but had to make some changes to the boards.txt configuration file. At no time did my fingers leave the keyboard… I like the cli ! Download the Fritzing source here. To motivate and engage sales people, have a big red button to push when a sale is made. They push a button and play a video. Something fun! Add flashing lights for extra effect! Here are two different means to accomplish this. One solution involves an Arduino UNO serially attached to a PC running the Windows OS. The other solution is just a Raspberry Pi running OSMC. OSMC basically turns a Raspberry Pi into an entertainment system. A large screen can be attached to either the Raspberry Pi or a PC to display the video. 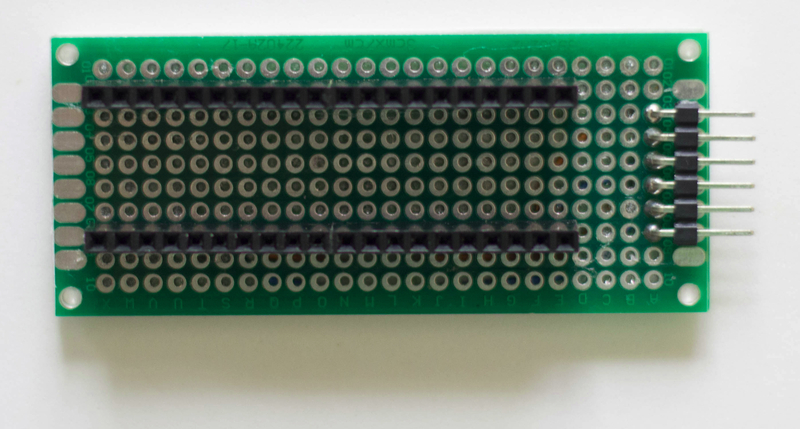 A Raspberry PI has GPIO pins which allow it to connect to the outside world. This makes it a standalone solution for this application. A normal PC has no such connections, so that is why something like the Arduino is needed. Since that python script was designed to run on a Windows PC, VLC and Python need to be installed for it to work. The command to run VLC will need to be modified to the URL or file for the specific video to play. The Raspberry Pi running OSMC uses the xbmc_json python library to control the native OSMC video player. The command to open the player and run the video will need to be modified to the URL or file for the specific video to play. Which ever solution you choose, push a button and play a video! Fun! 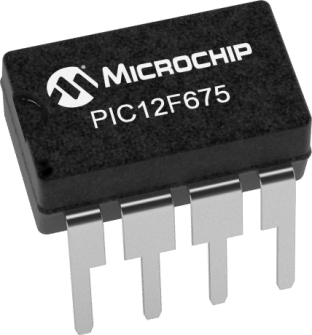 MicroControllers are digital devices and usually do not have built in digital to analog converters (or DACs) to output an analog signal. Some, however, do have analog input. For digital output, the voltage is one of two values. Output voltage is either 0 volts or near equal to the voltage source (‘off’ or ‘on’). Using a technique called pulse width modulation (or PWM), a microcontroller can create a ‘simulated’ analog output voltage. As can be seen in the video, the duty cycle (ratio of ‘on’ versus ‘off’) goes back and forth from 100% to 0%. and then modified to vary the duty cycle. An MSO-19 oscilloscope was used to capture the PWM signal. 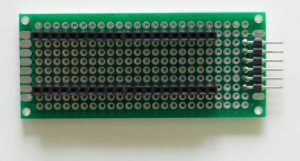 If LEDs were placed on the pins of the PIC12F675, they would be seen gradually going from bright to dim and back again to bright. Using pulse width modulation, an output voltage can be produced anywhere between zero volts and the source voltage. Its simply a matter of math! For example, if the source voltage is 5 volts, to create a 2.5 volt output, the output pin would be ‘on’ half of the time and ‘off’ half of the time. (5 ÷ 2 = 2.5) Of course the frequency of the switching cycle has to be significant. I needed an easy way to calculate Microchip PIC timer 0 values, so I created the PIC Timer0 Code Generator and Calculator. If you are not familiar with PIC timers, there is a handy tutorial HERE. The calculator part, is a spreadsheet which calculates the timings and timer 0 frequency counter needed, given the required timer (delay). The code generator part, is a Python script which generates the C source code for the PIC microcontroller XC8 compiler. Basically, the required timer (i.e. delay) in seconds is specified along with the clock source in Mhz and the prescaler. Optionally a value can be specified for the TMR0 preload to adjust the timing. All the other values are automatically calculated. From the example, a 1 second delay is specified with a clock of 4Mhz, prescaler is 32 and preload is 6. The calculations show that 125 timer 0 interrupts will take 1 second. The spreadsheet calculator can be downloaded from HERE. 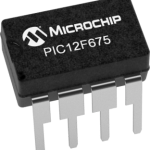 However, even though I use a PIC12F675 for the PIC Timer0 Code Generator and Calculator, it can easily be adapted to any other PIC microcontroller which needs timer 0 calculations. Actually, the spreadsheet part works works for any PIC since it does not generate code. The Python script, which generates code, would only need minor changes for other PIC microcontrollers. to send it to the chip. Notice, that /opt/microchip/ is where I have installed he XC8 compiler and the PicKit2 software (pk2cmd). 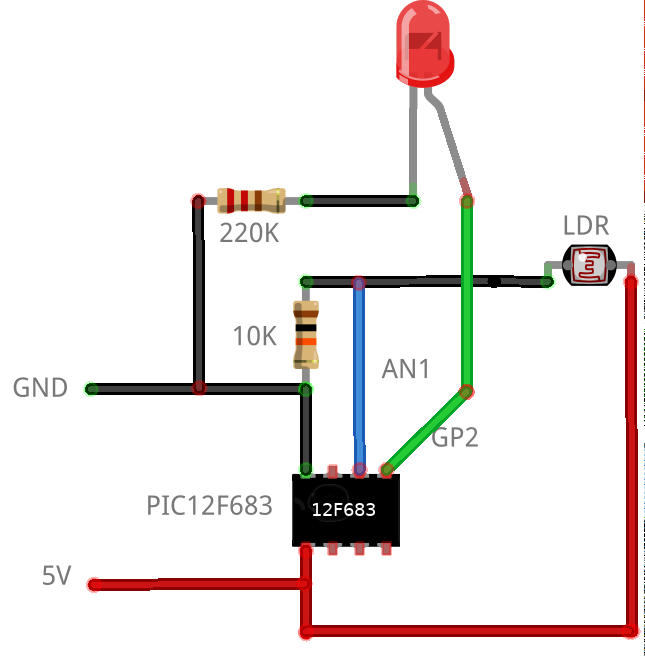 If you have an LED on GPIO pin4, it will blink every 1 second. Basically with this code generator, one has a starting point template to add to. The comments in the code show where to put code to make it more useful. There are many Ethernet arduino libraries for the ENC28J60 module, however, I am using the UIPEthernet library from HERE. It is updated from the original Ethernet and follow on UIPEthernet libraries. Documentation on the Ethernet library can be found HERE along with sample code. Note: The UIPEthernet library I am using fully supports all the documented functions from the original library. There are various ERRATA on the ENC28J60, however, the current versions of the UIPEthernet library address those issues. 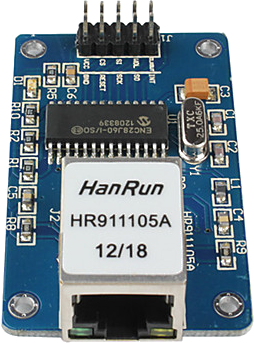 This library also supports the STM32F103C8T6. Usually one would think that such ‘lockup’ or ‘freezing’ problems are related to power problems. That problem is not an issue here, it is taken care of by testing with different good power sources and lots of capacitance. I have the most trouble when I attach an STM32F103C8T6 to the ENC28J60 module. I seem to have the least problems when I attach an Arduino UNO to it. I think that perhaps the extra speed of the STM32F103C8T6 enhances the problem. In the main loop() code, the library function checks on the ENC28J60 and perhaps due to the faster speed of the STM32F103C8T6 there is something going on that affects the ENC28J60. Another, less know issue, is the need to occasionally call the library function maintain(). If one looks at the documentation, it seems maintain() is only used to renew a DHCP lease. Further research will show that this function call is needed, periodically, if connected to an ENC28J60. I found that there are fewer ‘freezing’ problems when calling that function in the main loop() code, however, they still occasionally happen. The best approach to fully solving the issue is to somehow check the status of the ENC28J60 and reset it if it is ‘frozen’. Fortunately, the code for that is available HERE. This is my sample WEB server code which shows how to keep an ENC28J60 module from freezing by implementing that checking of the ENC28J60. It also shows the use of the maintain() function and the use of the STM32F103C8T6 watch dog timer. I use the watch dog timer to make sure the mictocontroller running the code to control the ENC28J60 is not somehow locked up (‘frozen’). Demonstrates checking the ENC28J60 and keeping it from freezing. From the ASCII chart in the comments at the top of the code, one can see how the STM32F103C8T6 is wired to the ENC28J60. One thing to note, is that the RESET of the ENC28J60 is accomplished via its RESET pin rather than by calling the Enc28J60.init() function. This does a hardware reset and seems to work in all lockup cases.